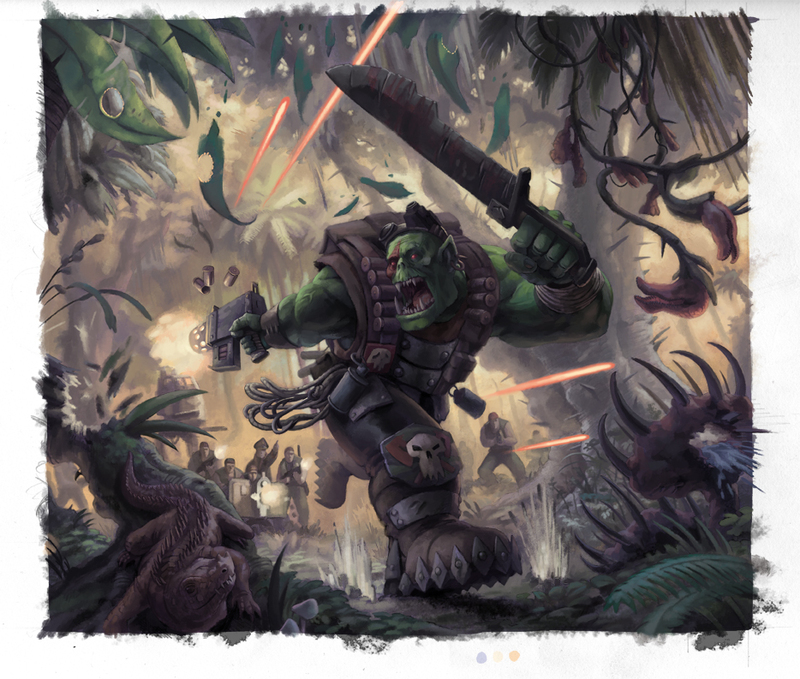 Here are some Orks from the Warhammer 40k Conquest card game from Fantasy Flight Games. 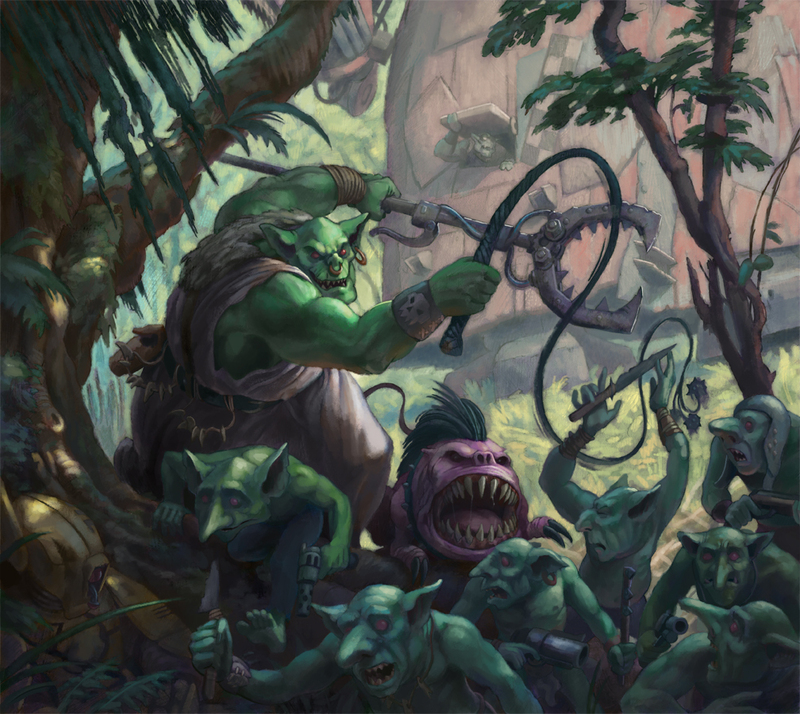 I'm sad that Games Workshop pulled the License for this product, but I had a blast working on it while it lasted. 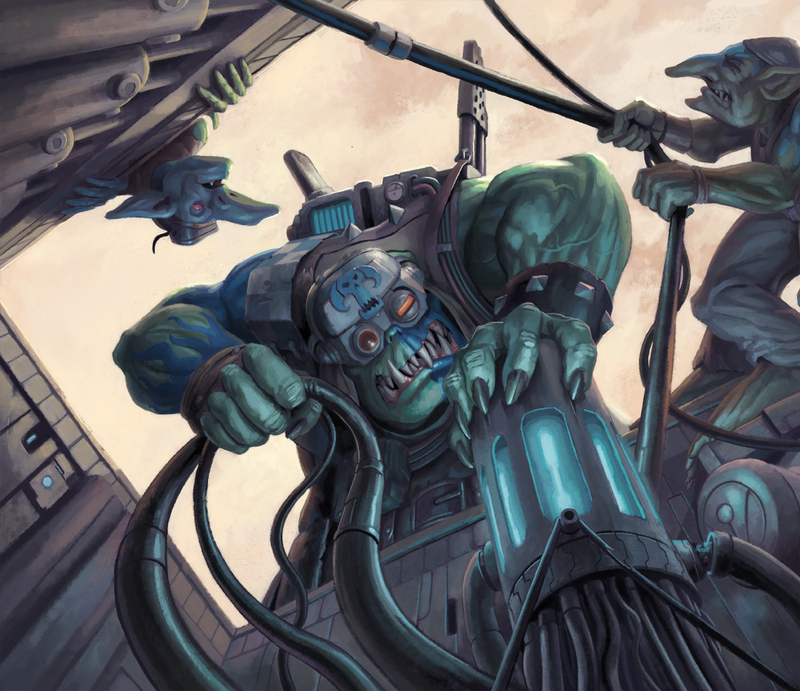 It was always one of my dreams to work on Warhammer 40k one of my favorite games.From Clockwise from Top left:One of Zogwarts runthearders cracking the whip, driving the gretchin into the enemy guns, with a stompa in the background. 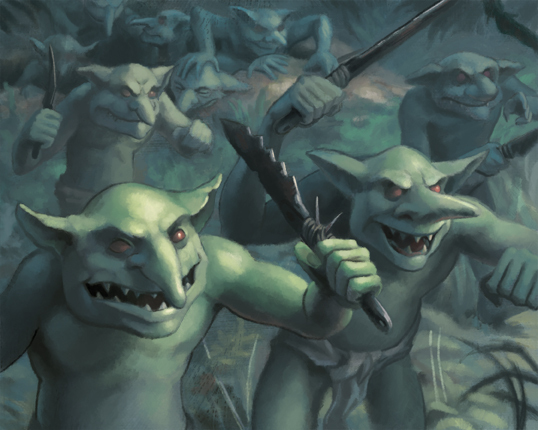 A horde of snotlings. An Or Kommando strategically attacking an Imperial guard strong point. 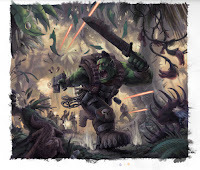 A deff Skulls Mek lootin' a Tau hammerhead.